What should you drink to ring in 2018? We’re sharing our top sparkling wine picks and three simple recipes featuring sparkling wine (Hello, Prosecco Margarita!). Plus, 3-ingredient cocktails—recipes for classics and some twists anyone can make. Our guest is author and New York Times columnist Robert Simonson. 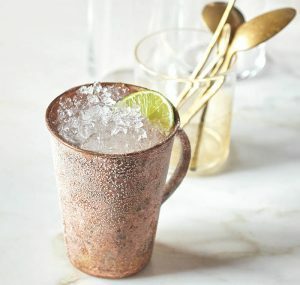 Robert shares the stories behind the classic Moscow Mule and Champagne Cocktail, plus his own cocktail creation with ties to Connecticut.